We’re half way through November already and the new music is coming out thick and fast! 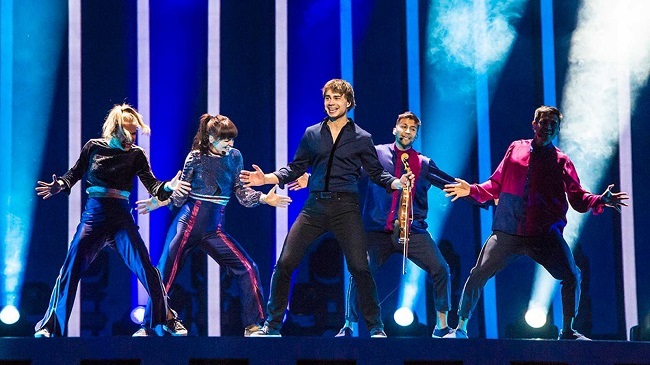 As always the ESCBubble team have rounded up the most interesting new music from former Eurovision and National Final acts for your pleasure. Plus we have something a little different later on! Friends, after all, my lucky number 9: and finally my new song “Melancholy” is online, and you can download it! For reasons beyond the control of our team, uploading to digital platforms took longer than expected, but now everything is behind us and I know for sure that this song is special and bewitching! She will not leave anyone indifferent, and everyone will dance to her impetuous rhythm! We thought we’d bring you something different to the roundup this week, a cover of a Eurovision entry by a non-Eurovision artist. We’ve already brought you the power Latvian hookup of ‘Last Dance’ by Markus Riva and Aminata already this week. You can find that and all of the other songs mentioned today on our ESCBubble New Music Friday playlist for November on our homepage or by clicking right here. Which was your favourite new release this week? Let us know on our social media channels. Download support banners of your favorite entries from Junior Eurovision 2018! A new ‘scandal in the making’ for Spain?